Colon cleansing or any type of detox is a topic of debate among health professionals. Some of them swear by the cleansing, while others argue that the nature has its powerful cleansing system and you need not do it artificially. However, it’s the ultimate truth that after colon cleansing you feel light, pleasant and healthy! So, colon cleansing has some distinct advantages and here they are. Though we take care of our diet, surrounding pollution, stress, involvement of pesticides in our foods and other factors don’t spare us from undergoing impairment of our digestive tract and thereby constipation. Constipation makes wastes sustain in our body and impair our digestion further and the vicious cycle goes on. In such a scenario, even if you take a nutrition-rich diet, your digestive tract is unable to absorb the nutrients. This results in weakness and impaired immune system. Therefore it becomes very necessary to first cleanse the undigested wastes from your system. Colon cleansing just does that. Also due to the clearance of bacteria that grow in the waste products, your digestive system can work efficiently and absorb all the nutrients. 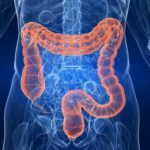 Due to colon cleansing, toxins are cleansed from your digestive tract which results in correct use of energy elsewhere in your body and not only on the intestine. Nutrition is not only important for body’s health but also for mental health and mainly concentration. Because of colon cleanse, nutrition is absorbed by your system which results in better mental health and concentration in whatever you do. Also, because absorption of nutrients is improved, your mental clarity is enhanced too. Weight conscious people have good news that colon cleansing can bring about weight loss too. Overweight and obese people are often in the habit of consuming low-fiber foods that are bad for digestion and hampers the body’s mechanism to understand that you are full. Low-fiber foods remain much longer in our gut. When colon is cleansed they are flushed out of gut and this leads to a significant weight loss. A study has also proved that simply increasing the intake of fiber can help you in losing weight. Colon is a place where everything you eat ends up. These are the remnants after the food is processed, treated and converted into waste products by your body. Naturally if they linger for long in colon, colon health is at risk. By cleansing your colon, you take out the unnecessary stress and poisons from colon and promote colon health. Visit Du Colon to know about many ways of colon cleansing. All these ways are natural, safe and effective, with which you can get rid of the poisons and be healthy.